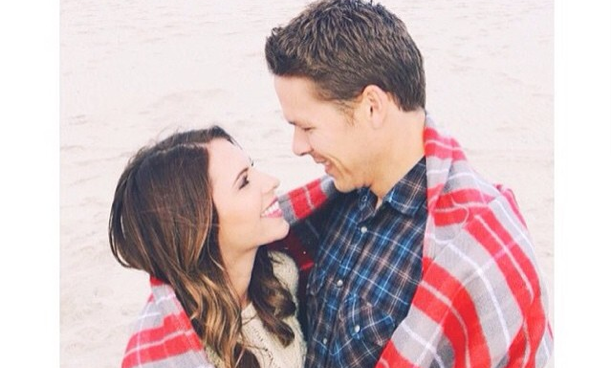 'Bachelor' runner-up Lindsay Yenter is engaged to Karl Swanson. Photo courtesy of Lindsay Yenter's Instagram. It looks like Lindsay Yenter didn’t waste any time sulking around and pining for lost love! After not receiving the final rose from Sean Lowe on The Bachelor season 17 finale, the bubbly brunette quickly moved on and began dating now-fiancé Karl Swanson. According to Wetpaint.com, her celebrity love popped the question at the end of October. 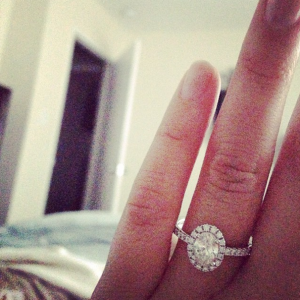 Yenter posted a photo of her amazing new rock on Instagram with the caption, “You mean I wasn’t dreaming?! More details to follow on the blog…#ontopoftheworld.” The former reality star credits The Bachelor Sean Lowe with helping her see what’s important in a potential partner, saying, “After doing the whole show, it made me realize I need to find guys who I want as a husband and as a father instead of going after the bad boy.” We cannot wait to hear wedding details and see what’s next for this celebrity couple! Lindsay Yenter shows off her gorgeous engagement ring. Photo courtesy of Lindsay Yenter’s Instagram. Lindsay Yenter knew she was prepared when celebrity love Karl Swanson popped the question. What are three signs that you’re ready to get engaged? 1. You bring out the best in each other: Whether it’s making your partner constantly smile or helping them achieve new success at work, it’s important to always bring out the best in each other. Friends and family will see that, and you’ll be sure to get their stamp of approval. 2. You share similar values: You should be on the same page as your future fiancé. Whether it’s how many kids you want or where you want to live, it’s vital in any relationship to agree on the big issues. If not, one of you may ultimately end up disappointed. 3. You enjoy every moment together: For a relationship to last, you need to enjoy each other’s company, no matter what you’re doing. Marriage doesn’t mean fancy dinners and expensive gifts; you’ll have to be content with just hanging out sometimes. Whether it’s going to the grocery store or doing the laundry, you need to be just as happy doing these boring chores as you will be on date nights. The Bachelor runner-up Lindsay Yenter’s instagram tells us her and celebrity love Karl Swanson enjoy spending time with each other no matter where they are. How did you know you were ready for engagement? Share below!